Associated Press Kaben Clauson, CEO of TruePublic, is seeing signs of a weaker economy. Clauson had planned on taking on full-time staffers but, partly because of the economy, decided against the added risk. NEW YORK – Samantha Martin does most of the annual hiring for her public relations firm in the first quarter. But not this year – clients worried about a slowing economy are cutting their budgets, and Martin has in turn scaled back her own plans. “Our clients are having trouble getting funding, and therefore public relations and marketing are the first to get cut,” says Martin, owner of Media Maison, in New York. If Martin's firm has more work than her current staff can handle, she'll hire freelancers who work by the hour. Hiring on a project-by-project basis removes the potential of having to lay anyone off. Small-business owners who are uneasy as they see signs of a weakening economy have cut back on hiring in recent months and found ways to get work done without adding employees. The latest evidence of a hiring slowdown came last week, when payroll provider ADP said its small-business customers created just 6,000 jobs in March. February's tally of 19,000 new jobs was also weak and down sharply from January's 98,000; ADP's small-business numbers also fluctuated throughout 2018. The report, as well as the most recent jobs report from the Labor Department, clearly shows that small business hiring has lagged behind job creation at larger companies. Small-business owners, especially those who learned hard lessons from the Great Recession about overstaffing, are playing it safe. While a Capital One survey also released last week showed that 29% of 500 small-business owners planned to hire in the next six months, that was down from 33% in a survey six months earlier. Of the owners who don't plan to hire, nearly 30% said the economy is making them too nervous to spend more on staffing. The Capital One survey was in line with other surveys taken during the first quarter. The economy is widely expected to slow this year, starting with the recently ended first quarter. Economists surveyed by financial information provider FactSet estimate that gross domestic product grew at an annual rate of 1.6% from January through March, down from 2.9% in all of 2018. 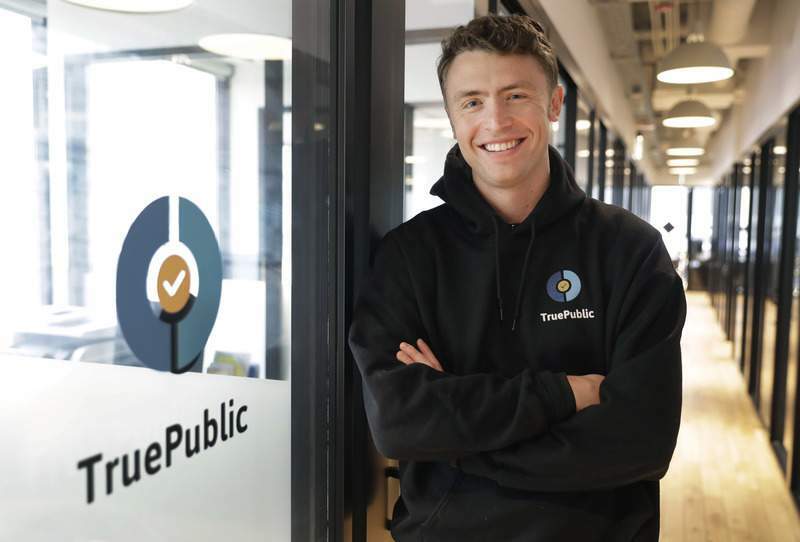 TruePublic's last four hires were part-timers. CEO Kaben Clauson had planned on taking on full-time staffers, but partly because of the economy decided against the added risk. Clauson's concern is linked to the hesitancy he sees in investors who start hunkering down because of stock market volatility or signs of economic weakness. Before the recession, the philosophy at many companies was to hire in anticipation of higher revenue. Now, the approach is to put off hiring until rising revenue justifies taking on the added expense and risk. Many owners like Martin hire independent contractors, or freelancers, if there's more work than their regular employees can handle. “They have a much finer gauge on how to accomplish what they need to without layering in a lot of expense,” says Steve Spinelli, the incoming president of Babson College and an entrepreneur himself. Owners have also adopted technology that helps them get their work done, so there is less pressure on their companies to hire, Spinelli says. “You have a healthier small-business community, a more nimble small business community and one that's more forward looking,” Spinelli says. After Greg Henson's technology services company was forced to lay off half its staff during the Great Recession, he restructured the business so approximately 50% of The Henson Group's workers are freelancers. He has the flexibility of calling them in for projects as needed, and doesn't have fears of another mass layoff. Henson is also concerned about the economy, and has contracted with another company to handle some of his sales work. “We have frozen hiring until we know what's happening,” he says. Some owners aren't as worried about the economy, but have other reasons to be concerned about their finances and are therefore cautious about hiring. For example, their overhead is going up and they don't want to add to those increasing costs expenses that can make them more vulnerable to the vagaries of the economy. The rising minimum wage has Sean Pour holding off hiring 10 new staffers for his company, SellMax, which has more than 30 workers earning the $12 minimum that a San Diego city ordinance requires. The minimum, which rose 50 cents Jan. 1, will rise each year along with inflation. The minimum-wage staffers at SellMax work in the car buying company's call center. Pour supplements their pay with performance bonuses, but worries that rising wages will limit his ability to pay the extra money. “Quite frankly, this scares us and we are afraid we won't be able to keep the new hires that we employ,” Pour says. So SellMax, which already uses automation to answer some calls, may need to increase its dependence on technology if it can't afford to hire.